About Veronica R. Message Veronica R.
Vero was a fun, passionate and knowledgeable guide! We all enjoyed our time with her and both our girls (ages 12 and 15) also really enjoyed our time at Uffizi with Vero! Veronica was fantastic. We have three young boys (13, 9, and 5) and she did a fantastic job keeping it interesting for them and engaging them in the entire tour with questions and taking an interest in their comments and questions. The tour, and Veronica, were excellent. Veronica was highly professional and the tour interesting and relevant. Many thanks. Veronica was wonderful. She was right on time, easily picked us out of the crowd and gave us a most informative overview of the Uffizi. The depth of her knowledge was impressive and her warm personality was evident. She even helped us find a good gelato place when we were done. A great experience. When you travel to historical cities with a 10 and 14 year old, you need tour guides that keep them engaged and interested! Veronica did exactly that. Her English was perfection and she did a fantastic job covering the highlights of the Duomo and Accademia. We truly appreciated learning more about Michel Angelo and his works including the David. Highly recommend her for ANY tour as her energy and personality are just right. She also gave us a great recommendation for lunch which was fantastic! Veronica is an amazing and artful storyteller. We only had one full day in Florence and I asked her to customize a full day tour so we could get to know the highlights of the city center. She did that and much more with fun facts and curiosities I didn't see or read in popular guide books. She booked a wonderful restaurant for lunch at my request and then took us to a fantastic gelato place where we returned to that night. Super friendly, engaging, overall wonderful person! Veronica was a delight! Her enthusiasm coupled with her in depth knowledge of her home town was invaluable to us. Our group of 4 had just arrived in Florence the night before our tour. Veronica helped us get out bearings, provide insightful comments about the sights and was so much FUN to be with! Truly a 5 star experience! Veronica was on time meeting us at our hotel. We strolled around the city for hours and Veronica was a walking Encyclopedia of Florence. Answering all possible questions related to history, commerce and architecture. We got a perfect start to our visit and got excellent advice on local restaurants with local food away from tourists. Veronica is also a walking smile making our tour equally pleasant. Veronica was a wonderful guide to Florence. Her willingness to be flexible was great. She also made a great recommendation for lunch before the tour that we thoroughly enjoyed. She had an amazing knowledge of Florence, history, and art and really helped to bring the city in perspective. I would happily use Veronica again! Veronica was amazing. We had a customized tour where we wanted to see Florence and the Uffizi Gallery. Veronica was so knowledgeable about the history of Florence and her knowledge of the artwork at the Uffizi Gallery was incredible. She was a wonderful tour guide and her tour was one of the highlights of out trip. Veronica was amazing . We went to see David but ended up spending almost 4.5 hrs with her and had a great tour of Florence. Her command on history of the region is amazing , she also took us to some craft shops which are only found in Florence . We had 3 kids and they really enjoyed it too. Highly recommend her . Veronica knows her stuff! great personality. You will enjoy your time with her as we did. She is flexible and will show you things not on a typical tour if you want. Veronica was a fantastic guide!! She was so excited and energetic, you could tell she really enjoys her job. She did a great job giving us an overview of the city and its main attractions, as well as guiding us through the Accademia. We really had a wonderful time with her!! Veronica was a amazing guide who took 10 people thru the Highlights of Florence. Our only regret is we did not book her for the entire day! She always put us in a perfect position to see everything from "The David" to sampling local food in the market and bringing us to her favorite vendors in Florence. Highly recommend. 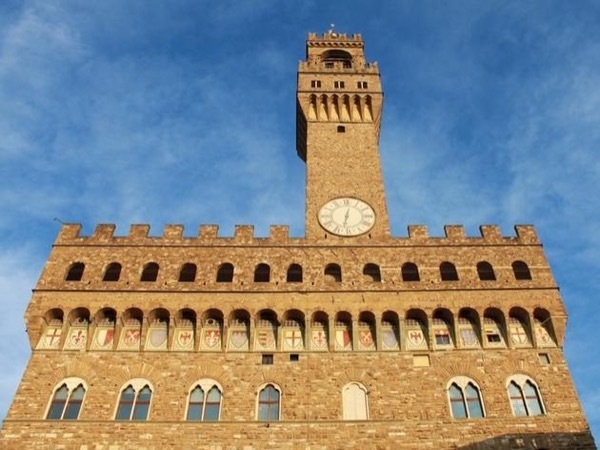 The Uffizi Gallery is large and very crowded and it contains a huge collection of works. It is easy to get lost. Veronica did an excellent job of highlighting the most significant and the famous works. She described the progress of art from the Medieval to the Renaissance to the Modernist periods in a clear and straightforward manner that was easy to understand. She displays real passion and knowledge for art, with a lively personality and active sense of humour. This was a delight and highly recommended. The Accademia has a bit of a reputation for housing Michelangelo's David and not much else, but it does contain other works of interest. Veronica provided an absorbing discussion of the David but also highlighted other works by Michelangelo, other statuary and plaster models, and a larger collection of paintings by Renaissance Florentine artists. She has expertise in art history, combined with humour and real verve in explaining developments in art history to a general audience. Highly recommended. Florence played a notable role in Italian history and much of the old city still remains. Veronica provided a highly entertaining tour of the history, buildings and public sites of the city. She described the stories and accomplishments of its citizens ("Florentines invented everything") as well as important practical skills like where to eat and how to spot second-rate gelato. She is engaging, well-informed, witty, and has great enthusiasm for her city which she displays constantly. Strongly recommended. Excellent tour. Veronica maximized our 3 hours in the Uffizi by targeting specific areas. Her knowledge was extensive and she was great with the kids. Veronica was a wonderful guide, the value of a great guide in the busy city of Florence cannot be overlooked. All of our venues had very long waiting lines, but with an experienced and licensed guide, the lines were not an issue and we were able to see everything in the day. Veronica's knowledge and passion were perfect for our interests. I did not know what Veronica had in mind for me, but she knew what I was looking for. And she delivered! The weather was not cooperating, but that did not dissuade her in any way. She was very knowledgable, took me to all the spots I wanted (even though I did not know I wanted them! ), was very helpful holding my umbrella over my head while I snapped away photographs, was patient, just all around perfect. I honestly do not know what more I could ask. HIGHLY RECOMMENDED! Fabulous tour particularly since it was New Years Day. Veronica was pleasant, a fountain of knowledge, and made our walk extremely interesting. I learned more about the culture and history in those three hours than I ever could have imagined. I would definitely recommend Veronica. 5 out of 5 Veronica was great. Veronica was very knowledgeable about all the art we saw and helped us have a much better experience walking in the museum. 5 out of 5 Veronica was great. She was very knowledgeable and took us to some great hidden gems of the city. Would definitely recommend using her for a tour of Florence. Veronica taught my daughter more in 3 hours than she learned in a class at school. Her love and knowledge of Florence shines through to give a great experience. Veronica did a fabulous job with our tour. She was very friendly and knowledgeable about Florence and its amazing history. She went above and beyond by booking us tickets for the Accademia Galleria after the tour and recommending some amazing restaurants for lunch and dinner. The ToursByLocals staff did a great job of finding us Veronica when the original guide was unable to book the tour. We will definitely be using ToursByLocals in the our future travels. Veronica was wonderful. Her knowledge of Florence was deep and broad, and her background in the fine arts and art history were invaluable. We have experienced many guided tours' and Veronica was among the very best. She went beyond what was required and we could not recommend her more highly. We as a group of four,were all very pleased with Veronica as our guide. She went above and beyond,as we were quite late in our booking and she was able to get our entrance tickets for both the Uffizi Gallery and the Accademia.We were able to combine both tours into one and she was informed and knowledgeable! Veronica was able to steer us efficiently and comfortably through the very crowded museums. She made seeing these masterpieces fun. Her positive energy was infectious and delightful.Brava Veronica! Excellent private tour of Uffizi gallery. I would highly recommend her. Very knowledgable and pleasant to be with. I would highly recommend her. Excellent tour! Highly recommend Veronica. Very knowledgeable and made changes to make our experience exactly what we were looking for. Veronica did a fantastic job giving us a overview of the history of the city, She wove in stories of the politics and art of the past and how it lives on in this wonderful city. My daughter is studying abroad in Florence and I am setting up a tour with Veronica for her, she will learn more in one afternoon of walking with her then she will in a week in the class room. Oh and by the way it was fun the whole time! Excellent, informative, enthusiastic and entertaining. Veronica was a delightful guide on our driving tour in and around Florence. She was prompt, well organized, and adjusted her schedule to meet our needs. She provided just enough information to keep us well informed but not overwhelmed. We loved looking over Florence from all angles with the discussion of the history concise and interesting. It was lovely to share her love of this city with her! I feel so fortunate to have found Veronica to introduce us to the delights of Florence. Extremely knowledgeable and equally personable, she had just the right qualities for leading a large group, Her tour was interesting to those new to Florence and for those us returning after many years. Sorry we didn't have time for a more in depth tour of one of the individual sights. Highly recommended. Veronica was very amenable, patient (with cranky teenagers) and spoke perfect English. Her tour was exactly what we were in the mood for! She is eminently knowledgeable and entertaining. To boot! Car and driver were extremely nice. We spent a wonderful morning with Veronica. She was very flexible and tailored the tour to our specific interests. Very knowledgeable and enthusiastic, showing us parts of the city we may not seen on our own. We will definetly recommend Veronica to our friends visiting in September. Thank you Veronica for an incredible tour of your city!! Veronica was fun to be with, and quite knowledgeable, especially about the architecture. I would recommend her highly. Veronica was amazing!! The whole family loved her. She gave us great advice ahead of the trip and was very accommodating when the cruise ship company changed ports from Livorno to LaSpezia. Everything was arranged perfectly. Our driver was on time. We met Veronica who took us to the David and then a wailking tour of the city. We saw all the sites we hoped for and then had a delicious lunch at her recommendation followed by a visit to a park that allowed us a grand view of the city. She's the best! Artisans of all types were toured today with Veronica as our guide. Jewelry making, leather, mosaics, glass, wood frame making and restoration of gilded works of art were among the many workshops visited. A perfect day! Veronica surpassed all expectations. She made it a captivating tour and gave us some great facts about the city. Her knowledge was outstanding, and was able to answer additional questions we had. She also added in some destinations to the tour which were relevant to questions we asked/thing we were talking about. It was well worth it and would recommend Veronica to anyone looking to book a Tour By Locals in Firenze! I went to Florence from Venice with my 13 year old son and my 89 year old father. Veronica met us at the train station and was able to procure a wheelchair for my father right away for our day with her. She is an unbelievable wealth of historical information. Highly knowledgable, warm, friendly and accommodating! This was a difficult trip to make with my father, but she acted like it was nothing and made the day one to remember for all of us! I wish I could give Veronica 10 stars! She is pleasant, learned and shared little known facts about architecture and the human element involved in the construction and changes made through time. Veronica tailor made our tour for us. Since we had already been to the opera museum, we opted not to tour it. Veronica adapted extremely well! We enjoyed this tour so much that we booked another tour with Veronica! She is the best! Veronica's tour of the Uffizi gallery was tremendous. I have toured the Uffizi with a guide a few times. Veronica was the best by far. Her knowledge , insight and interaction with our small group was fantastic. Veronica had awesome stories to tell, gave us some insights on Florence and tips where to grab the best food and gelato. I can highly recommand her! Veronica's awesome. I brought a group of 17 university students to the Uffizi Gallery and she did a terrific job of telling the story (in chronological order) of the art and politics of Florence around the time of the Renaissance. She was able to highlight the specific artistic changes that happened Pre-, Early-, and High-Renaissance, and then on to Mannerism, Caravaggio, and early Baroque. She held my students' interest for the duration of the 2.5 hour tour. We used earbuds, needed with a large group. Veronica was an excellent tour guide and she accomodated our request for a modified tour of florence which covered not only the highlights of florence but also the history of the city and the medici family.. This was a great tour for our family as it gave a better knowledge of florence. She is very passionate about florence and also gave us some great tips on places to eat and where to get original gelatos! Highly recommend Veronica for florence.